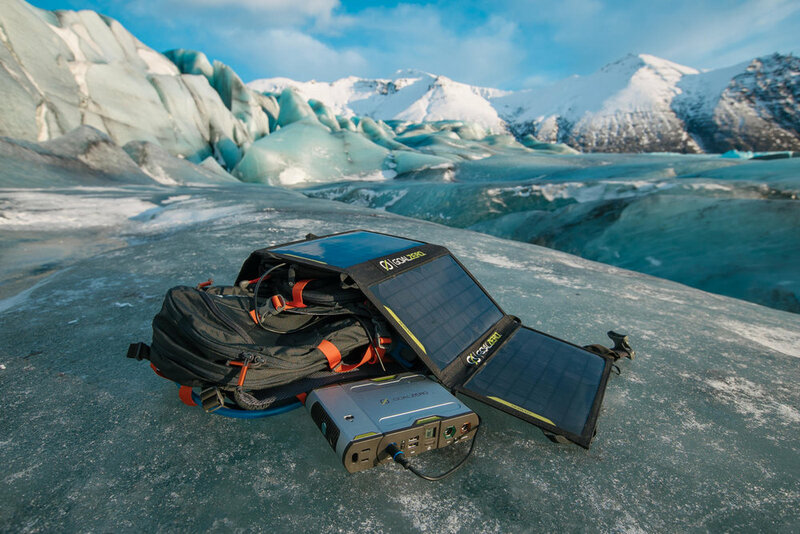 The Sherpa 100 can be charged by connecting a compatible solar panel. For best experience, we recommend two Nomad 20 Solar Panels (see the chart below for solar compatibility). The Sherpa 100 can be charged by being plugged into a regular wall outlet. The Sherpa 100 can also be charged by plugging into your car 12V adapter. Add Panels to your Sherpa.